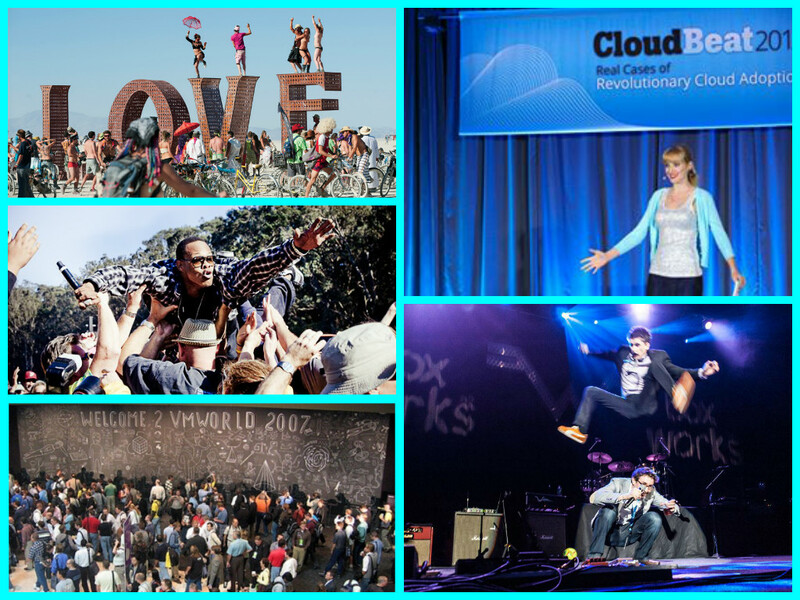 ABCey’s Countdown To The 10 Most Anticipated SF Events! 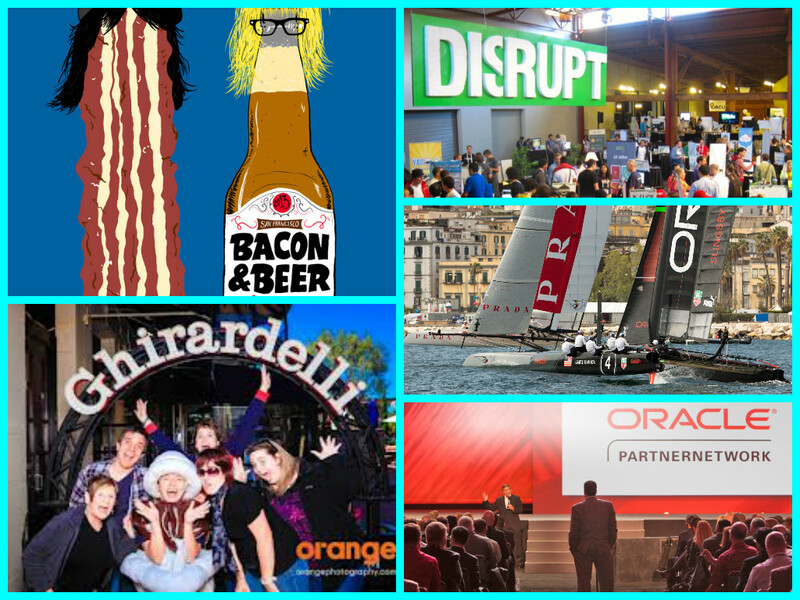 The Bay Area motto has to be “Work Hard, Play Hard!” Between the bevy of incredible tech event opportunities, huge concerts, and entire days devoted to chocolate, beer, and bacon, this city definitely keeps us busy. Join ABCey as we count down on our calendars to the 10 most anticipated SF events! 1. Bacon and Beer Festival | Saturday, August 25th | 2:30 p.m.-5:00 p.m. | 950 Mason Street, San Francisco | As if every day of our lives wasn’t devoted to this classical combo already! We’re gonna keep it simple: bacon vendors, breweries, and tastings. Perfection. 2. Oracle OpenWorld | Sunday, September 22nd- Thursday, September 26th | Moscone Center, San Francisco | Oracle puts on its annual OpenWorld event to showcase any news and products to over 45,000 attendees. Amongst the hundreds of sponsors and exhibitions, customize your experience by choosing events that focus on communications, customer experience, big data, and more! In addition to the networking and learning opportunities, there’s bound to be plenty of fun integrating Oracle Team USA and the America’s Cup! 3. America’s Cup Finals | September 17th-21st | Pier 27/29, San Francisco| Whether you’re a boat racing fanatic or just love the waterfront views, the America’s Cup Finals are a must-see. Cheer on your favorite team before all these beautiful boats leave the bay! 4. TechCrunch’s Distrupt SF | Saturday, September 7th- Wednesday, September 11th | The Concourse at San Francisco Design Center | This tech conference is back with new startups, speakers, and technology to discuss! It kicks off with the much-anticipated hackathon, but the real stars of the show are the startups that have a chance to present their business plans in the Startup Battlefield. 5. Ghirardelli Chocolate Festival | September 14th-15th, 2013 | Ghirardelli Chocolate Company | Celebrate SF’s favorite chocolate company with ice-cream eating contests, chef demos, and tons of chocolate samples! This year, they’ve offered a wine and chocolate pavillion because, well, nothing’s better than chocolate and wine! 6. VM World Defy Convention 2013 | Sunday, August 25th- Thursday, August 29th | VMWorld Campus, San Francisco | VMWorld is all about pinpointing problems in the tech world and teaching you the skills to fix them. Attendees can visit over 350 training sessions, hands-on labs, or the Solutions Exchange to see what other companies are doing or compare notes with IT industry experts. 7. BurningMan | August 26th- September 2nd, 2013 | Black Rock Desert, Nevada | Take a break from the hustle of city life and find yourself in the art-based, self-reliant, and self-defiant community that is BurningMan. At this festival, YOU are the entertainment and play an active role in creating and participating in the events. 8. CloudBeat | Monday, September 9th- Tuesday, September 10th | The Grand Hyatt, San Francisco | Cloud technology has played a huge role in the changing face of technology and startups in the past few years, and attending CloudBeat will keep you on top of all things cloud. Through industry speakers and activities, the event will explore the rise of the cloud enterprise and its integration into the web. 9. Hardly Strictly Bluegrass | October 4th, 2013- October 6th, 2013 | Golden Gate Park| It’s hard to imagine going to a free, non-sponsored event anywhere, but HSB is a musical haven for the Bay Area community. Although it started as a bluegrass festival, the lineup has expanded to include artists like Emmylou Harris, Earl Scruggs, and more! Which event are you looking forward to most?? Share our enthusiasm for local fun: send us a comment, post, or tweet! It’s about time to go back to school… which unfortunately means back-to-school colds! Our trick for keeping healthy is the Kinsa Smart Thermometer. 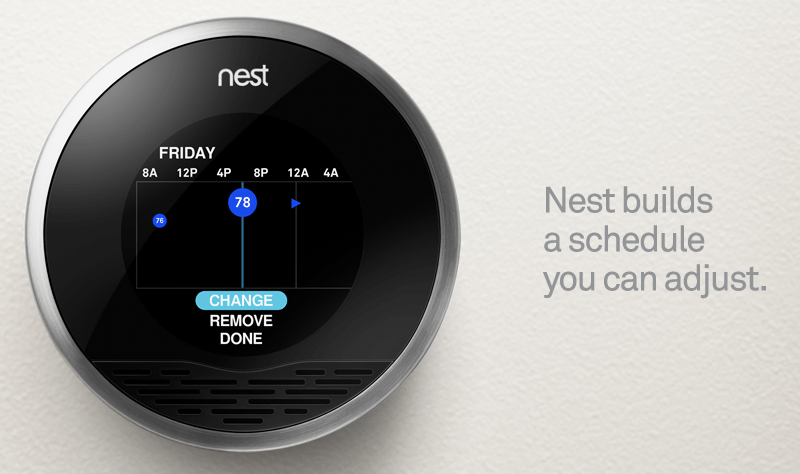 We all have thermometers buried deep in the medicine cabinet, but we think it’s time for an upgrade! This portable, easy to store, and useful product from Kinsa is about to become you and your family’s best friend! The Kinsa Smart Thermometer has the obvious functions of a regular thermometer with the combined power of your iPhone. The calming screens, complete with bubbles and smiley faces, will make taking your temperature look like a game! 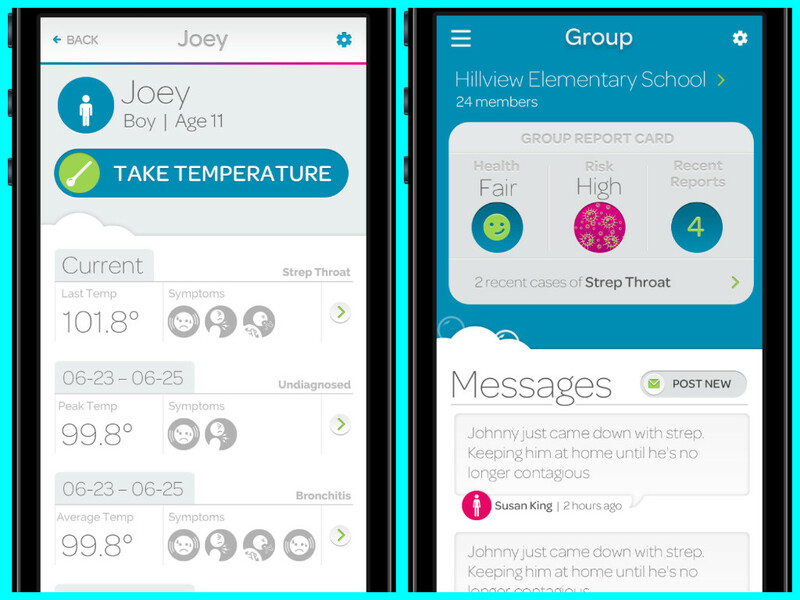 Each time you take someone’s temperature, your phone will store the information and monitor their sickness and progress. There’s even a chart that shows you when you’re at peak contagiousness so you can prevent infecting others. If you do have to make a doctor visit, the app’s illness history function makes diagnosis a quick and effective process! If you have to be sick, might as well get better the right way! Kinsa’s thermometer is the latest in a long line of tech health innovation. The cheaper and more available technology becomes, the better we can use it to improve our quality of life. Have you used the Kinsa Smart Thermometer? Do you think this is a useful tool? Let us know in a comment and on Facebook & Twitter! When you’re planning for the big day, you need all the help you can get! That’s why we love Sevenlogics‘ wedding planning apps. This LA-based company has been filling the Android and Apple app markets with its products since 2009! Sevenlogics focuses on problem-solving apps in categories including baby, lifestyle, finance, and (of course!) wedding prep. Since every app is free, there’s no excuse not to take them out for a spin! 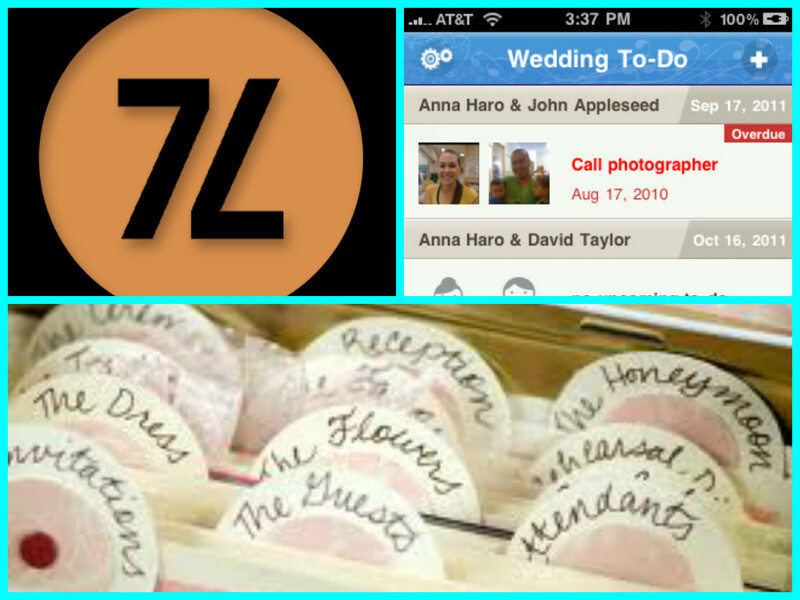 Our favorite apps are the wedding-themed ones, like Wedding To-Do and Wedding Budget. Although these are obviously marketed towards brides and grooms, these apps are great for any upcoming project you have on your hands. Wedding Budget is our hands-down favorite because keeping track of the budget is always a huge concern, no matter the size! Set up strict allocations for each phase of the event planning process, including venue and catering costs. The clear calculations and graphics make it easy to see what’s consuming too much money and which areas came in under budget. Would you use a Sevenlogics app for your next big project? Let us know in a comment or on Facebook & Twitter! We’re Pinterest fanatics, just like you! After spending way too much time on our pinboards, ABCey decided to show everyone our favorite decorating ideas and event inspirations. Enjoy! 1. Balloon Chandeliers | Mixing balloons of different sizes, shapes, and colors along with other materials makes for an easy but gorgeous display! 2. 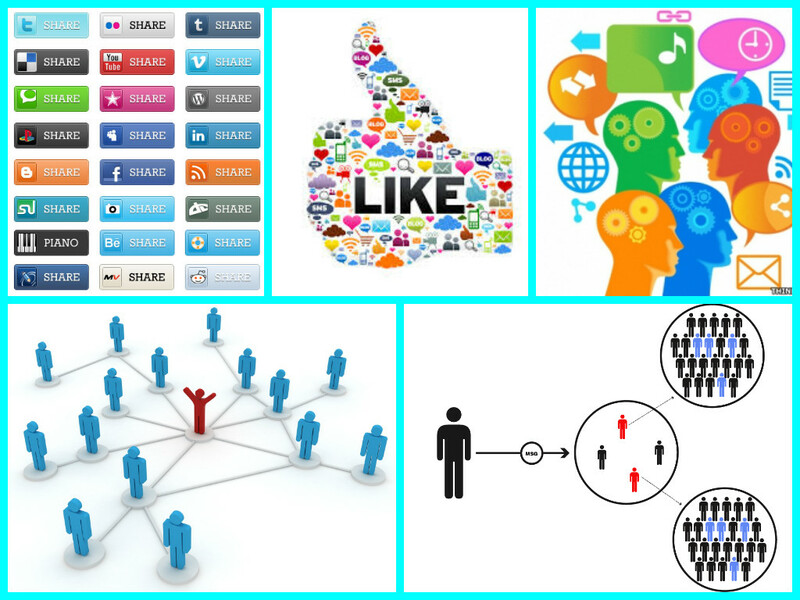 Interactive Social Screens | These are innovative, tech-inspired ways to engage your guests at the event! 3. Bottle Trees | These wacky and rustic bottle displays are sure to set your event from the rest. 4. 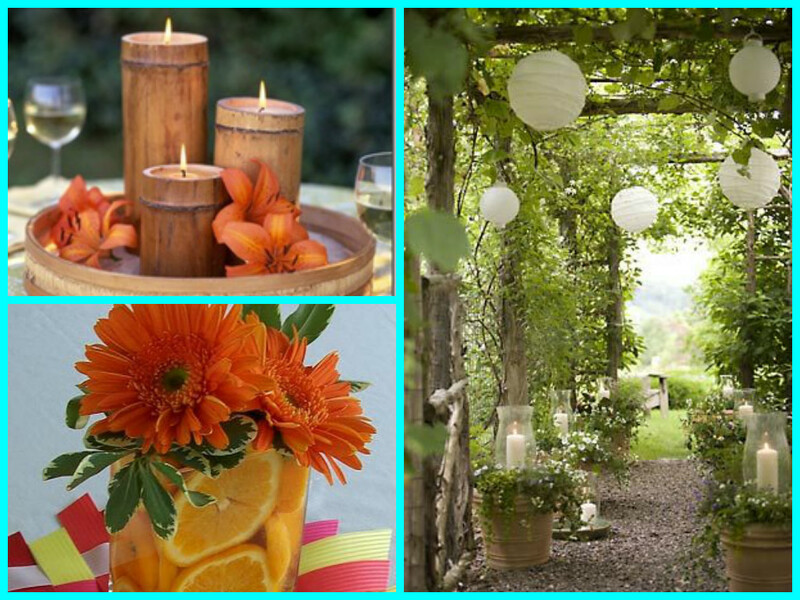 Flowers & Fruit | This DIY project will add a fresh and organic feel to your event. The best fruits to use are oranges, lemons, and limes because of their bright colors and sturdiness inside the water. 5. Greenery | For indoor or out, we love green spaces. You can never have too many plants and flowers! 6. Earthy Candles | Keep the vibe mellow and romantic with candles made from wood, bamboo, and leaves. 7. Mirrors | Mirrors are subtle and classy- use them to jazz up a bar menu or stack them for effortlessly chic decor! 8. 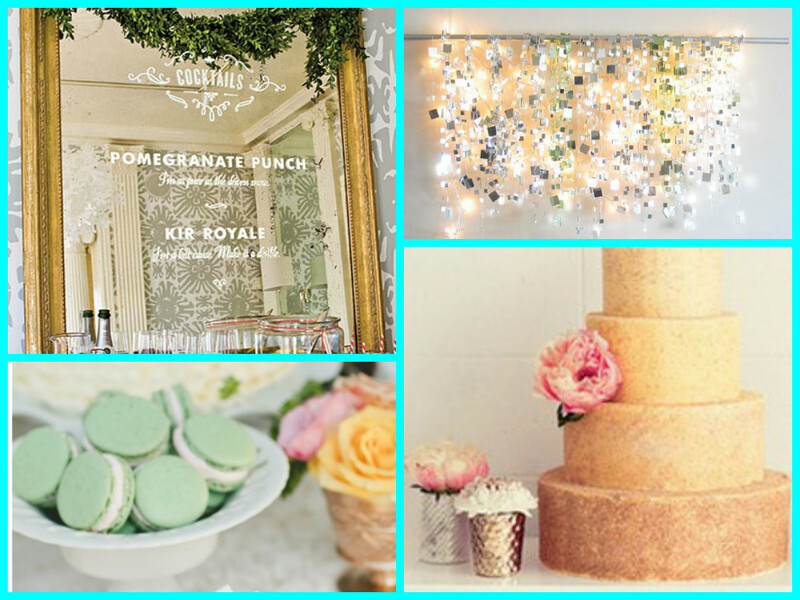 Sparkle | Make your event as visually pleasing as possible with tons of sparkle and shine, like in this awesome display. 9. Metallic Cakes | Keep your cake elegant and edgy with metallic touches! 10. Macarons & Roses | Just add tea and it’s a girly match made in heaven! 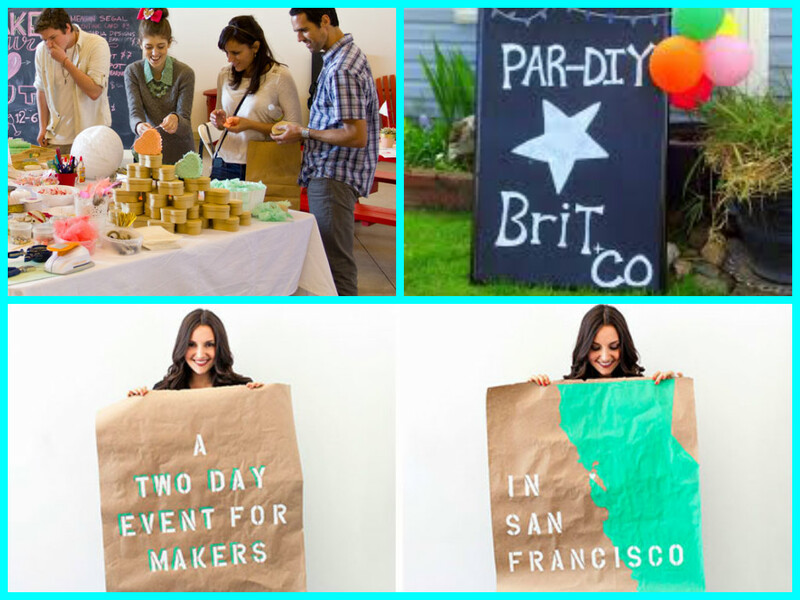 Do you love these event ideas as much as we do?? 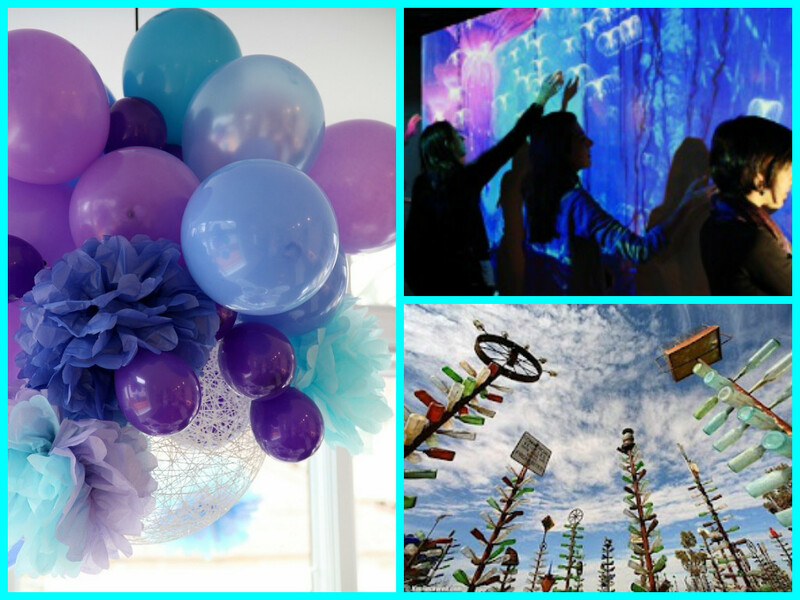 Tell us your favorite event decorating idea in a comment and on Facebook & Twitter! ABCey Named one of the Best Event Planners in SF! ABCey was recently honored by SocialTables as one of the top event planners in San Francisco! We couldn’t be more proud! We work hard to put on the best events possible and we are so thankful for the recognition. This year, we’ve had the pleasure to put on some big events, like the Blackjet Launch Party in Union Square, and are excited to work on more!